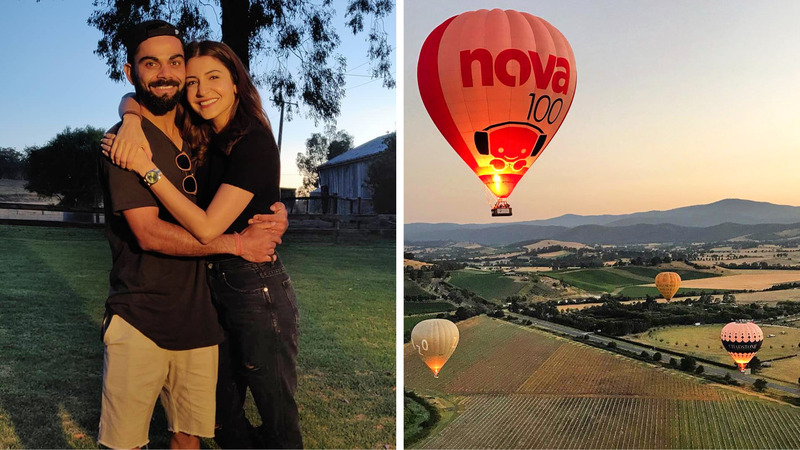 Alongside taking on Australia down under, Anushka Sharma and Virat Kohli have also used the abundant amount of time the Indian team has been spending in the country to explore. It’s been back-to-back action when it comes to both teams, as a history-making test series is being followed by ODIs that have a precedent of being thrillers. India defeated Australia for the first time ever in the test matches that concluded on January 7, and the latest ODI saw them equalise the score, leaving fans waiting with bated breath for the final on the 18th. 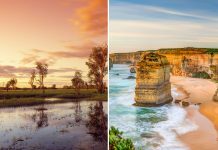 Yarra Valley, a sprawling seven-acre area that’s full of picturesque rolling hills and world-class vineyards, is a short drive from Melbourne and is host to plenty of stellar activities. One could take up hunting for the best cheese, or taking in the scenery by opting for a sunrise hot-air balloon ride. Melbourne is known for its winding paths and lanes that are home to an art-scene that’s making moves around the world. Degraves Street was one of the first of these to hit the bullseye. The cobblestoned-lane has cafes, studios and boutique shops, all of which are must-visits. When in Australia, why not absorb some Japanese culture at the Himeji Garden, a space that’s dedicated to showcasing elements of nature in a way that highlights a Japanese dedication to nature and its religious significance to them. Known for the freshest produce, this popular spot is always bustling with activity. Combining food and culture in one large outdoor space, heading here will guarantee you get the latest of the season. If you head there early, you could even bag a tour of the market with one of the local traders. There are many ways to take in a forest; why not slide down it? Corin Forest has an Alpine slide that glides past the tall, slender trees, offering an inimitable visual treat. Beef tartare, grilled onions, broad beans, spring flowers & onion dashi. Indulge in food that is contemporary yet rooted in a classic foundation at Aubergine, where the menu changes daily according to what’s in season and what the local farmers believe is currently at its prime. Oh, and there’s an award-winning wine collection.